Home Blog Is a Ketogenic Diet Safe? James: If you go online and you look up ketogenic dieting, you’ll see a lot of people talking about potential liver damage that happens in a long-term ketogenic state. Let’s talk about that for a second. Dr. O: There are these rare cases of people developing issues with their liver, pancreatitis, etc. from the markedly elevated dietary fats that are consumed during a ketogenic diet, but I will tell you that these are rare complications. I also get questions on social media or via email about people who have had cholecystectomies, or had their gallbladder taken out. James: Explain to people really quick what the function of the gallbladder is so they understand the correlation between that and a high fat diet. Dr. O: In addition to the pancreas, one of the gallbladder’s many functions is to break down dietary fats. If you don’t have a pancreas or if you’ve had pancreatitis, you’re going to have an issue processing and digesting dietary fats. The same applies if you don’t have a liver. But by no means does that mean you can’t follow a ketogenic diet. So, my advice is to supplement with digestive enzymes and typically, it’s very well tolerated thereafter. You can also break up your dietary fats. If you’re eating 100g of fat per day, split it up between five meals. James: Most of the health concerns that people are talking about are related just to the fact that it’s a high intake of fat. So, from a health perspective, let’s talk about the difference between consuming a lot of healthy fats vs. what you would consider bad fats and the associated risk. Dr. O: Right. Despite the fact that you see people eating double bacon cheeseburgers, that is not what you should be doing. You will lose weight, you will have a very nice aesthetic appearance, but if you look at all your inflammatory markers, they’ll be through the roof. I see that in some of my aggressive red meat eaters. So, I don’t want you getting your dietary fats from red meats because that is inflammatory fat. I want olive oil, coconut oil, avocados, nuts, etc. 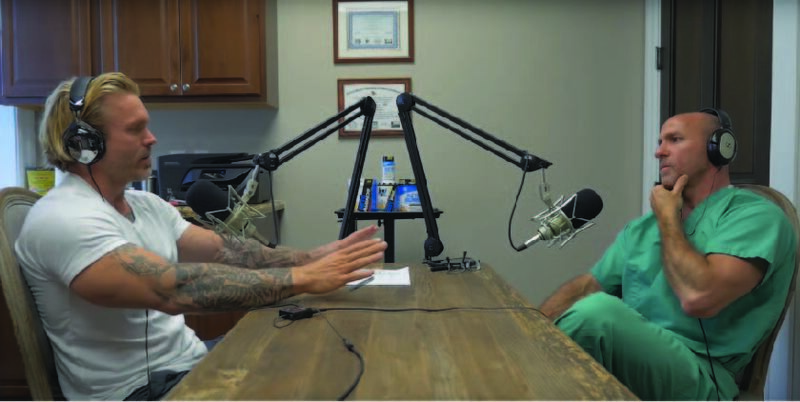 James: So, to wrap this up for the people who are online seeing claims that the ketogenic diet is bad for your liver or bad for your gallbladder: the way that you follow a ketogenic diet and eating the right types of fats is important for eliminating some of those health concerns. Dr. O: That is absolutely correct. I understand what people are saying, I understand the genesis of these comments, but if you do the ketogenic diet correctly, it’s an anti-inflammatory diet, which theoretically reduces the instances of all these diseases.